Remember when that employee found a spider on her wall and couldn’t go back into her office for an hour? Or maybe it was when your renter called, threatening a severe review because his daughter spotted a cockroach in the bathroom? A-Agents won’t let that won’t happen again. We pride ourselves on our tried-and-true pest elimination processes, which include these five steps for performing successful commercial Integrated Pest Management (IPM). Inspect & Identify – We can usually be on site within 24 hours if not the same day, where we’ll look at what the pests are doing, how they are doing it, and why they’re there in the first place. Find & Recommend – We’ll write it out for you: what we found and the best way to deal with it. It could be as simple as replacing a door sweep, removing debris, or applying a pesticide. Contact the Client – We break it down simply so you can make the best decision. Implement – Your wish is our command: we will follow through on the course of action you’ve selected. Document & Follow-up – Your property is important to us, so we keep careful documentation of what was done and will report any ongoing issues that we predict. If your commercial or rental property has pest problems, our IPM inclusive method can take care of them: bees, rodents, birds, termites, and so much more! To save you time and money in the future, we’ll make sure we look at the entire picture of pest prevention and removal. Our uniformed professional technicians are all state-certified, drug tested and have had a criminal background check. When they show up on site in one of our clean, neatly branded modern day service vehicles, they know they’ve got two customers to service; your tenant, and you, the property manager. Our techs are great at providing the tenant with enough information to make them happy, while providing the detailed recommendations and findings to you, the decision maker. 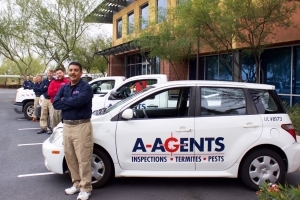 We can typically respond to most commercial pest control calls on the same day, and if not, within 24 hours. 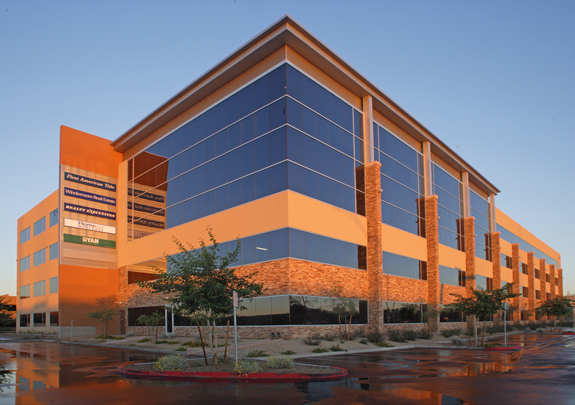 If you are a light industrial, commercial office, or a multi-family property, we are your perfect fit. We’ve serviced these kinds of properties since 1995! The best part? If you love quick a turn-around and clear, proactive communication on all steps of the process, you’ll love A-Agents. We will quickly provide Certificates of Insurance and W9s upon request.